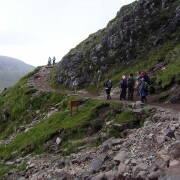 Normal Mountain Track and Water Slide ascent 1:8; Cairn Mor Dearg (CMD) arete 1:6; Ledge Route 1: 4 Summary | The “ordinary” mountain track starts from near sea level in Glen Nevis – usually from Achintee Farm and is around 15km from start to finish with an ascent of around 1,344m with the same for the descent. 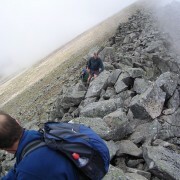 While there is a made path on the lower sections the top half is rough ground with loose boulder and scree. 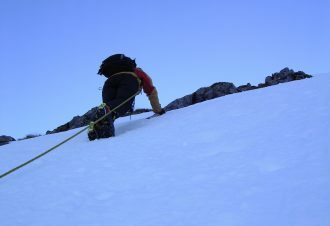 Snow patches are not uncommon on the upper slopes in mid summer. 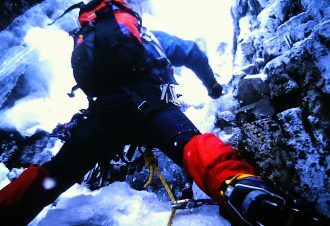 The higher slopes of mountains are always colder than at sea level. 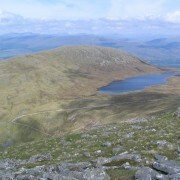 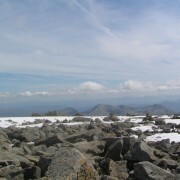 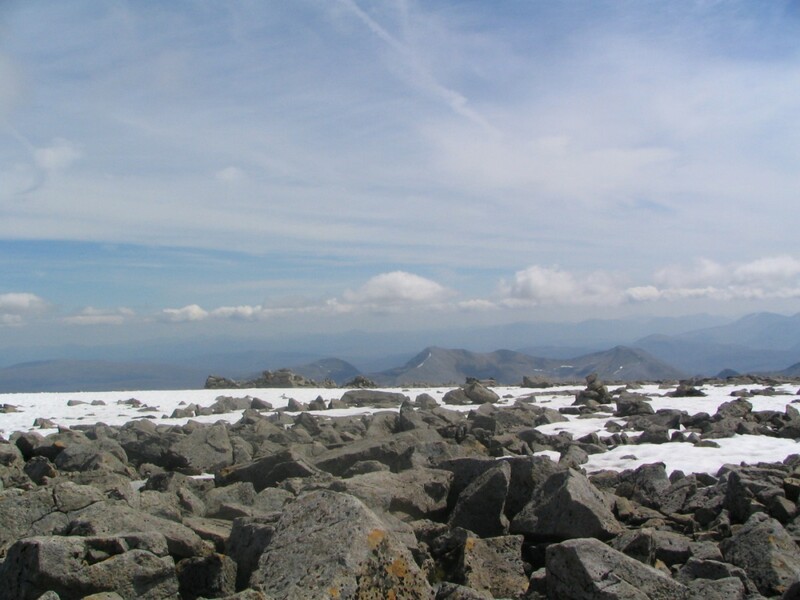 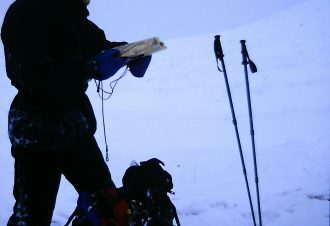 The summit of Ben Nevis is often 7-9 degrees colder than in the glen below – with wind chill making it feel much colder. 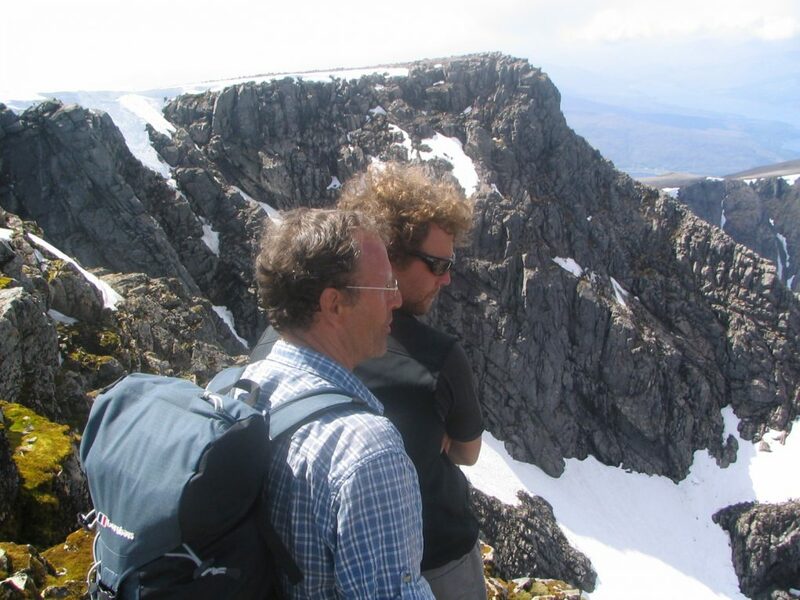 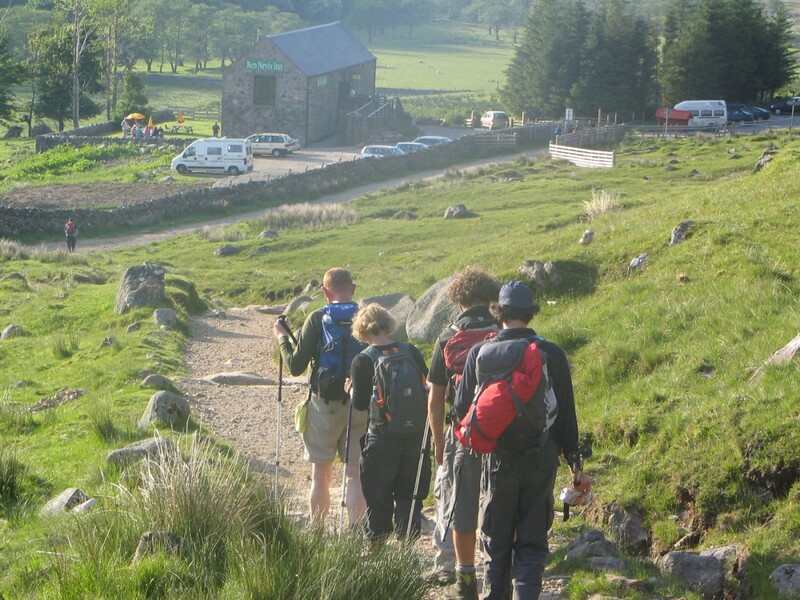 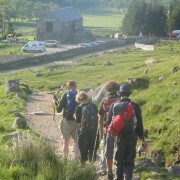 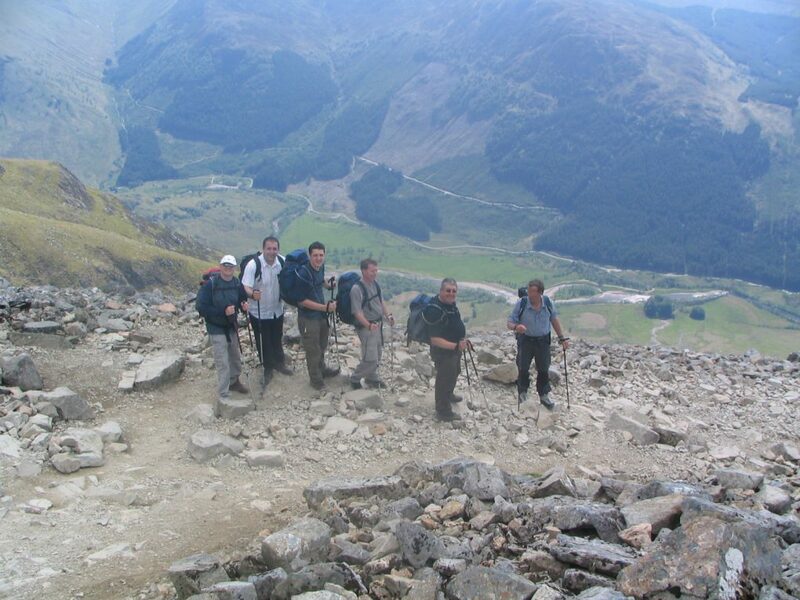 Previous Experience – who this is for | If you are reasonably ” city fit” and have done some hillwalking before then the walk up Ben Nevis is achievable in good weather conditions on a full day walk of 6-8 hours. 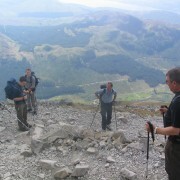 We normally allow 4 hours up and 3 hours down. 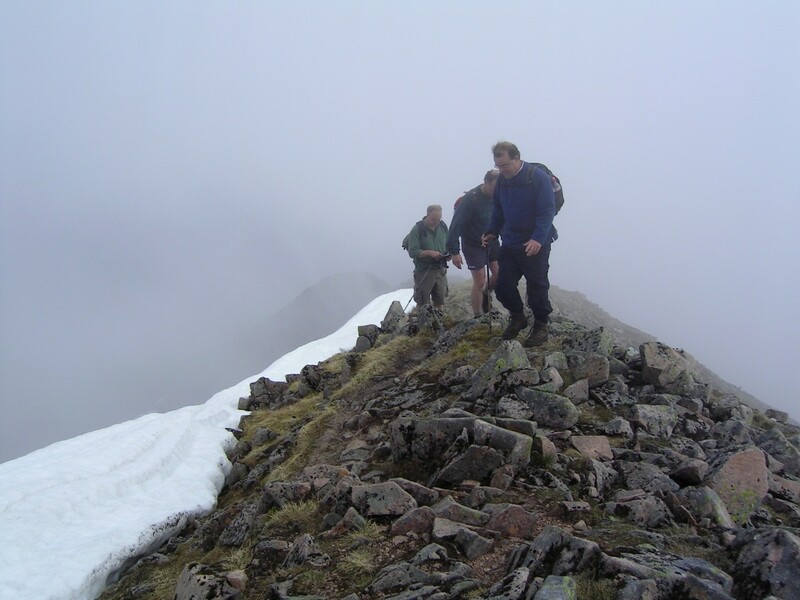 However, this is a full mountain walking adventure no matter the weather or time of year. 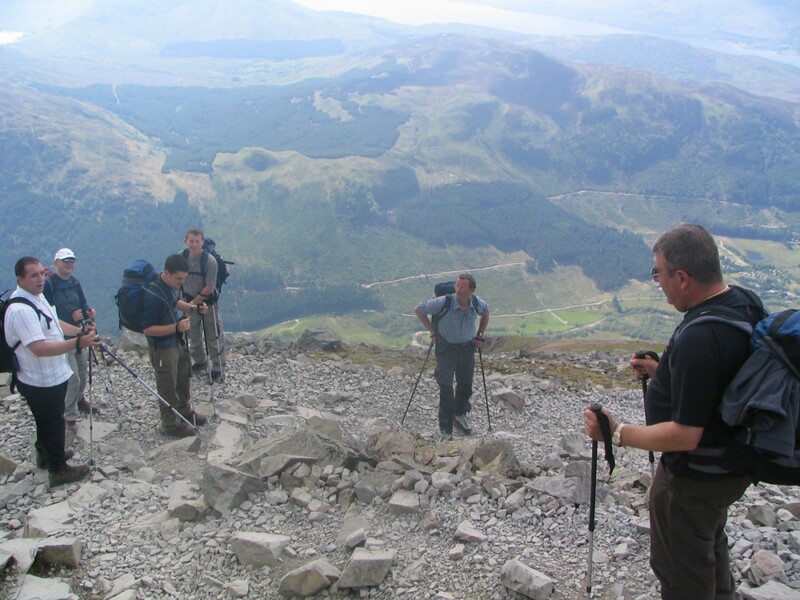 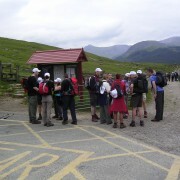 Even the easiest walking route up Ben Nevis should never be taken lightly even if accompanied by a qualified guide. 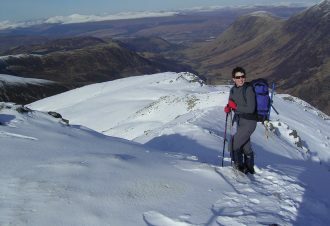 Good planning and personal clothing with sturdy mountain boots are essential. 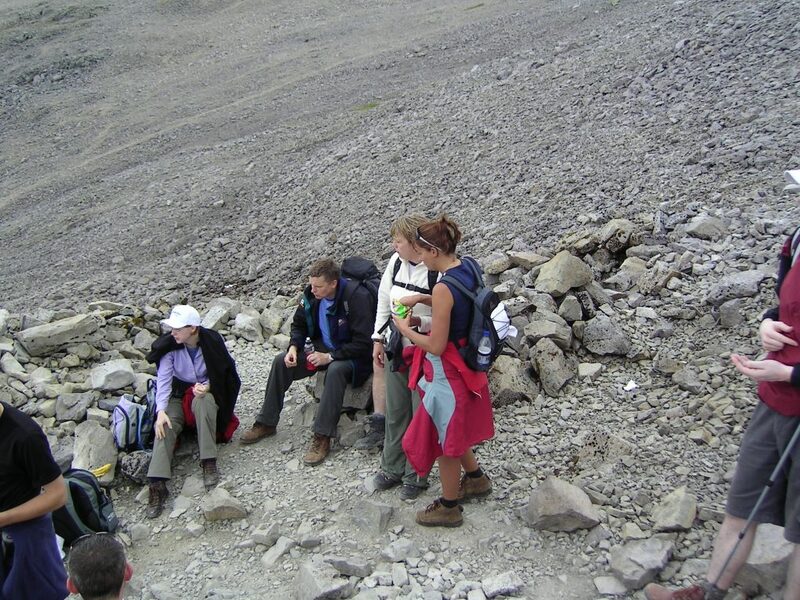 or Hire a private guide for yourself or your group – the maximum group size we work with is 8 persons – but more than 1 group can be accommodated at on time. 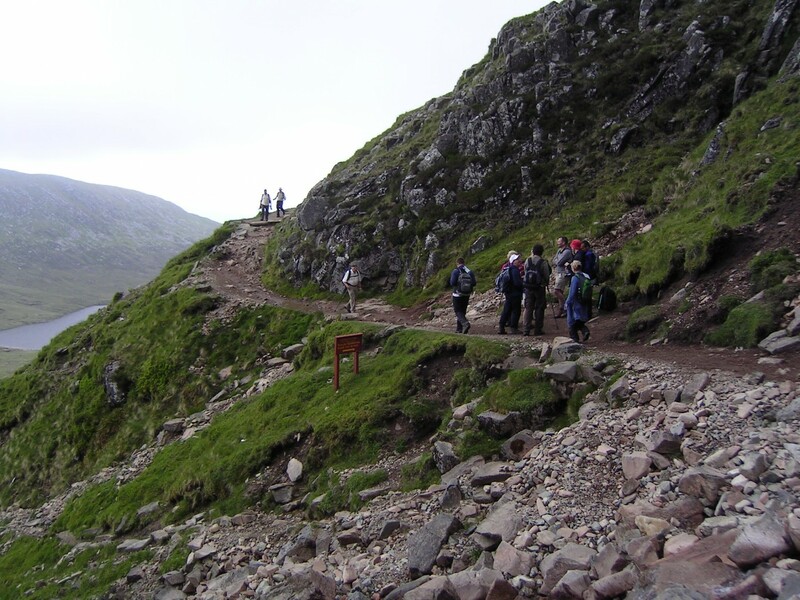 Depending on your previous experience there is a choice of route – the normal mountain track; CMD; or from the south side of Ben Nevis via Steall. 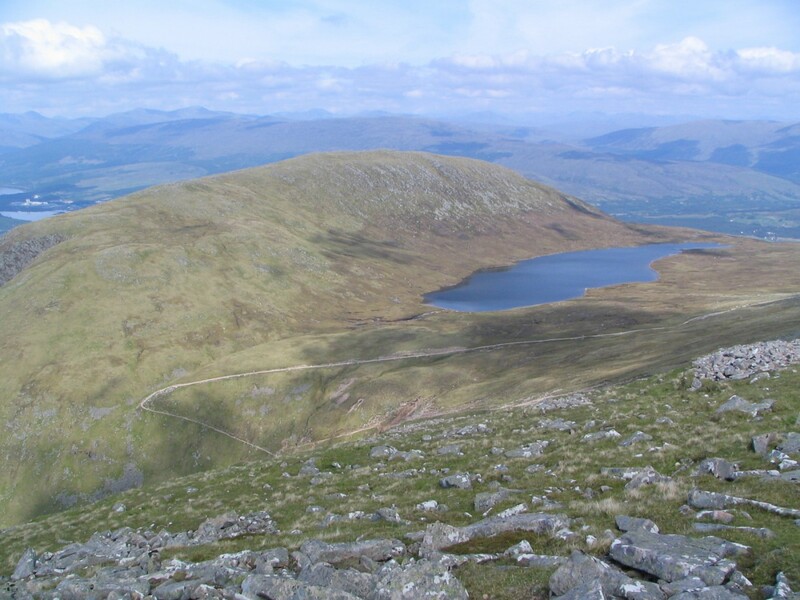 Magnificent views all the way round out to the Glencoe mountain range, Ardnamurchan & Argour, right up the Great Glen, and even out to the Hebrides & Mull. 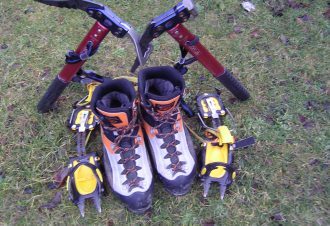 Put your feet up when you return to the valley with a welcome beer, glass of wine, a cup tea or coffee at Ben Nevis Inn or Café Beg. 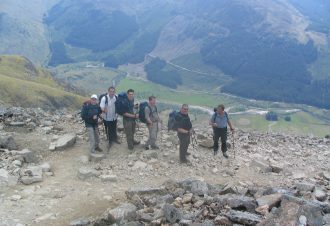 On the mountain you will see loads of folks who are poorly equipped and shod. 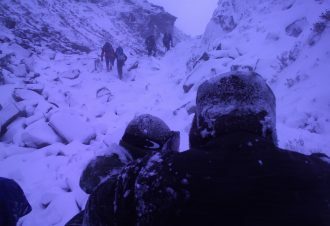 These are the ones who will become cold, wet, uncomfortable – and may be in need of assistance or rescue before the end of the day. 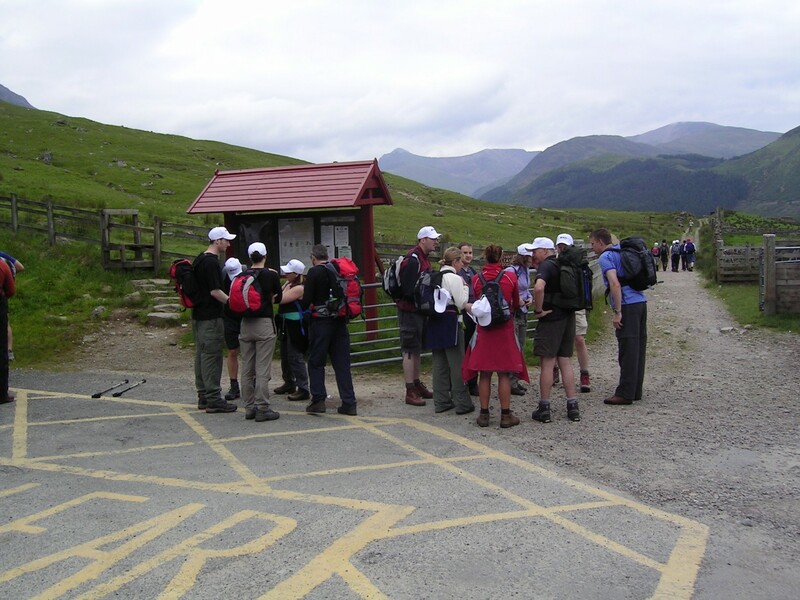 • Emergency snack – Mars bar etc – plus one for your guide! 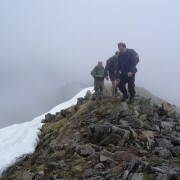 guided Ben Nevis days for the ascent of Ben Nevis are a full day out on the hill - a straightforward if strenuous day out. 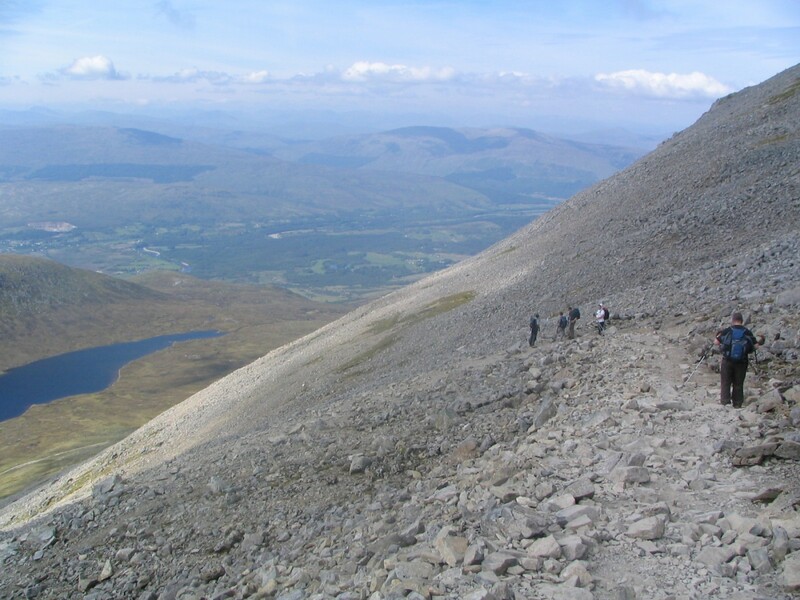 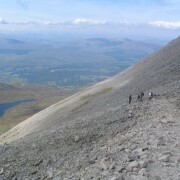 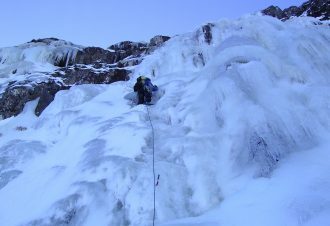 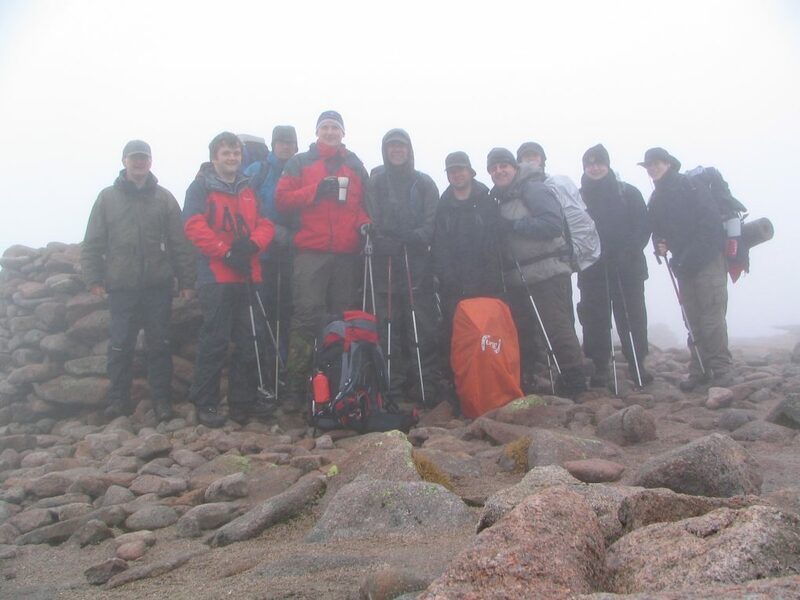 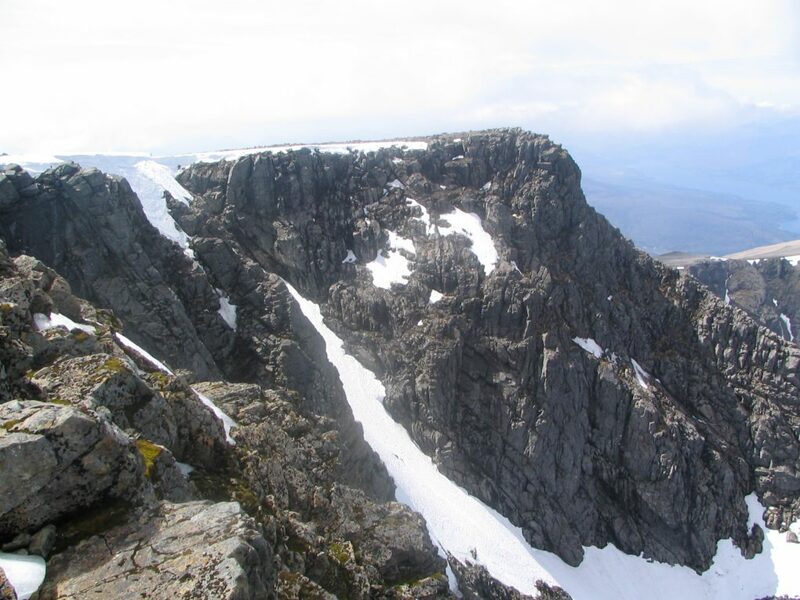 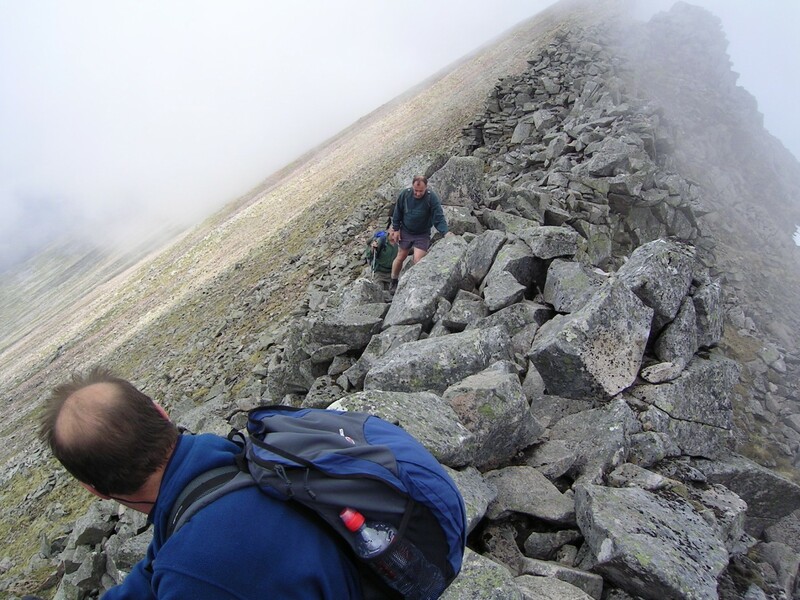 "the ascent of Ben Nevis is a full day out on the hill - a straightforward if strenuous day out. "